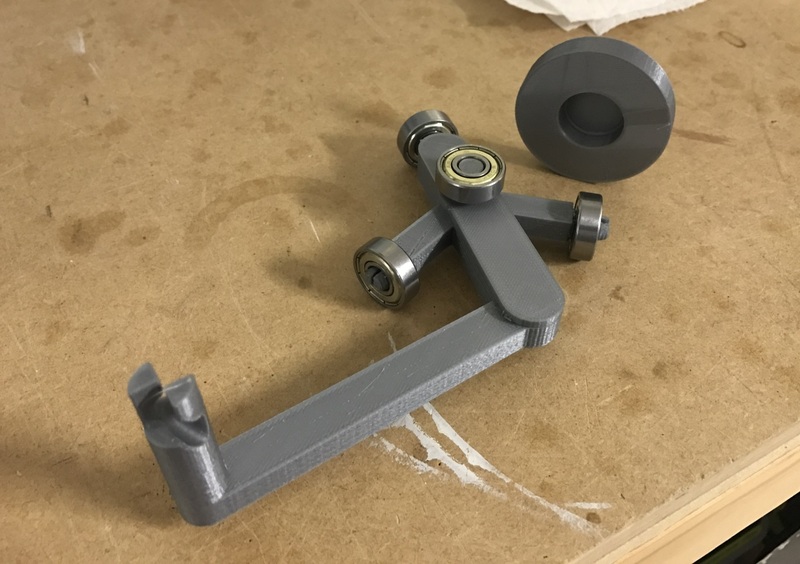 This is designed to sit atop the z-axis guides on a PrintBot Simple Metal. It also requires 4x ball bearing (608ZZ) as found on most printers, skateboards, rollerblades, etc. No other hardware is required, the ball bearings snap into the design. I’ve been using @References3D spool holder for over a year and just recently started getting some binding issues with a new brand of filament. 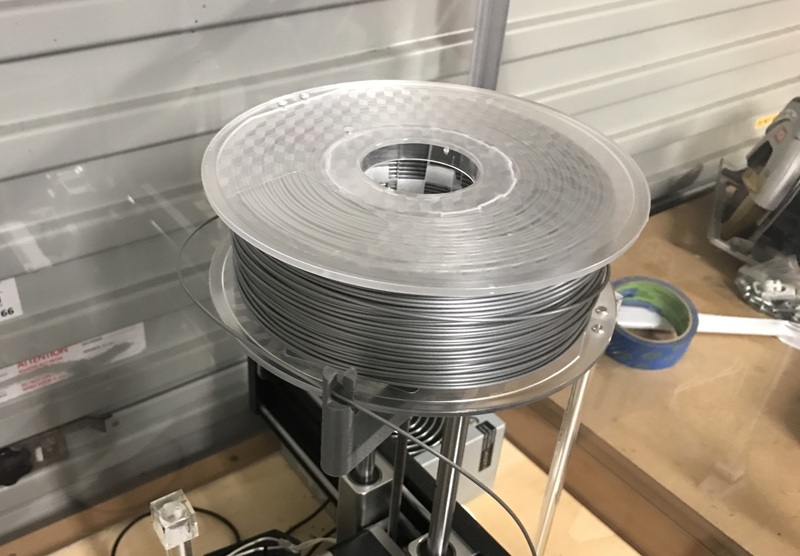 While the design attached is a complete re-design, you can definitely spot the inspiration from “PrintrBot simple metal’s spool holder”.